Hyaluronic acid is a naturally occurring substance found in human's skin and subcutaneous tissue. It is responsible for the right skin moisture and firmness as well as for the volume of subcutaneous tissue. Ageing gradually depletes the natural deposits of hyaluronic acid in skin. This is true also for lips and the verimillion border. 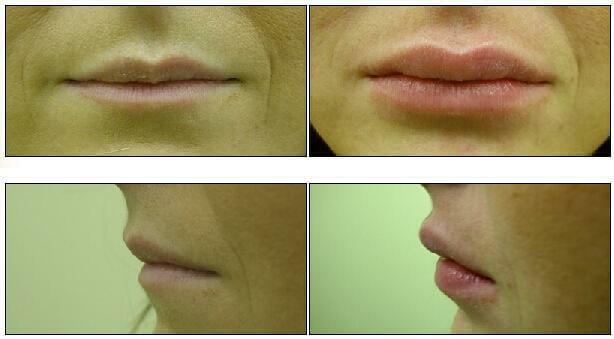 Eventually, the lips loose firmness and volume and the corners of the mouth become droopy. Fillers based on hyaluronic acid enable correction of these flaws. 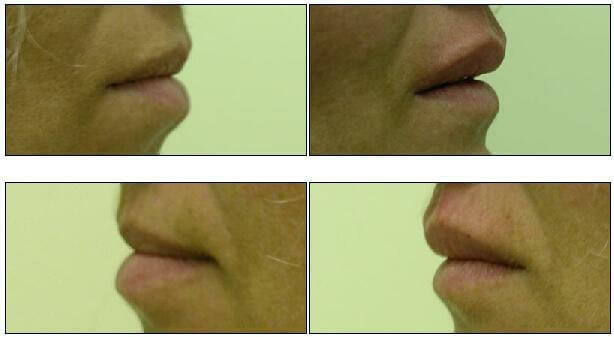 The purpose of the treatment is to augment the lips, correct a narrow lip or to enchance its contours. After the treatment your lips will be firm, full and properly moisturized. Treatment using one ampule of the substance (1ml) - 1,000zł. Price includes the consultation, planning and treatment as well as a follow-up visit. As with all procedures involving prescription-only medicines, wrinkle filling that uses botulinum toxin can cause adverse reactions. Any adverse reaction appears within several days from the treatment and is only temporary. After each procedure that requires injection, the patient should expect minor pain, burning sensation, prickling, puffs and swelling caused by the injection.